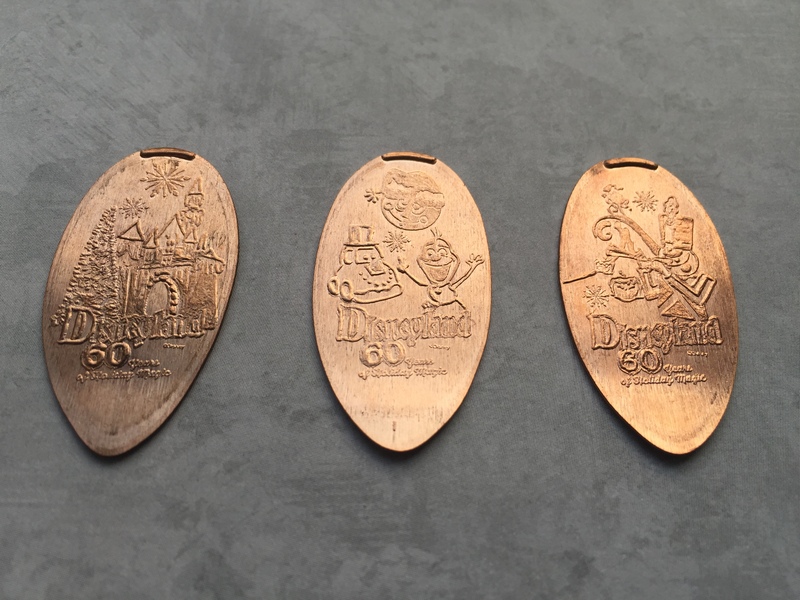 Disneyland has put the latest set of 60th Anniversary designs at the World of Disney gift shop in Downtown Disney. This is the fourth three coin set in the “Decades” series. The machine is located by the center set of doors. This set is celebrating 60 years of Holiday Magic. The designs include: a Snowy Castle, Frozen’s Olaf, and a Toy Soldier. All three coins have the “Est. July 17, 1955 60D” backstamp just like all the other coins in this special collection. With the rumors that a total of 60 coins would be issued for this special Diamond Celebration we are only a few sets away from the complete set. As I collect the remaining designs I’ll keep you posted.